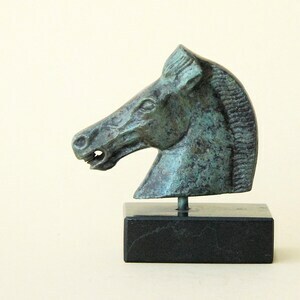 Horse Sculpture in Bronze, Equine Decor, Greek Geometric Metal Art Sculpture, Museum Replica, Ancient Greece. 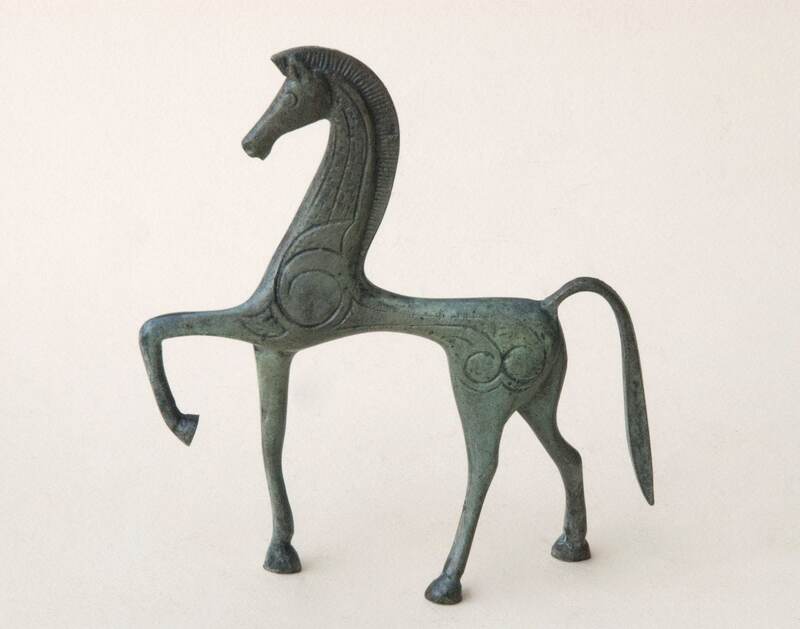 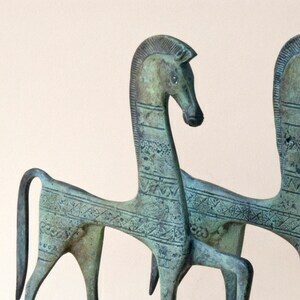 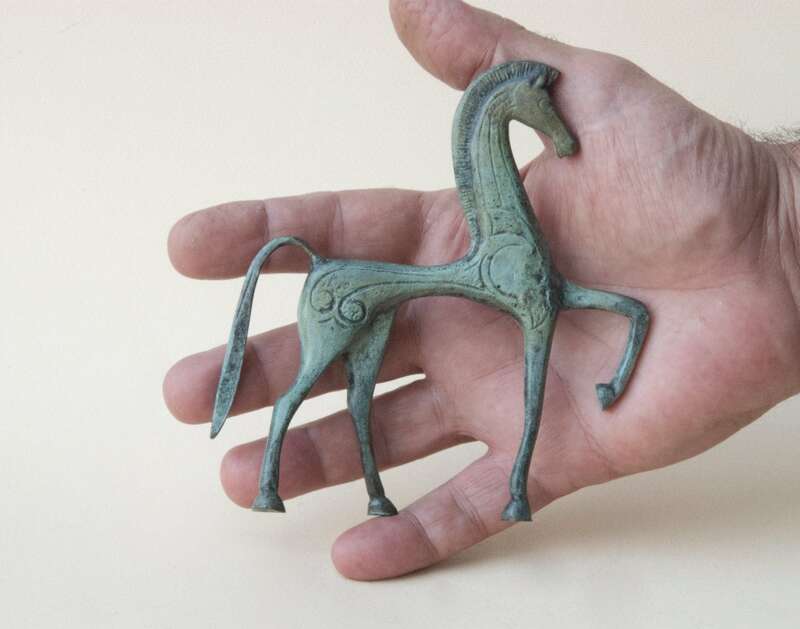 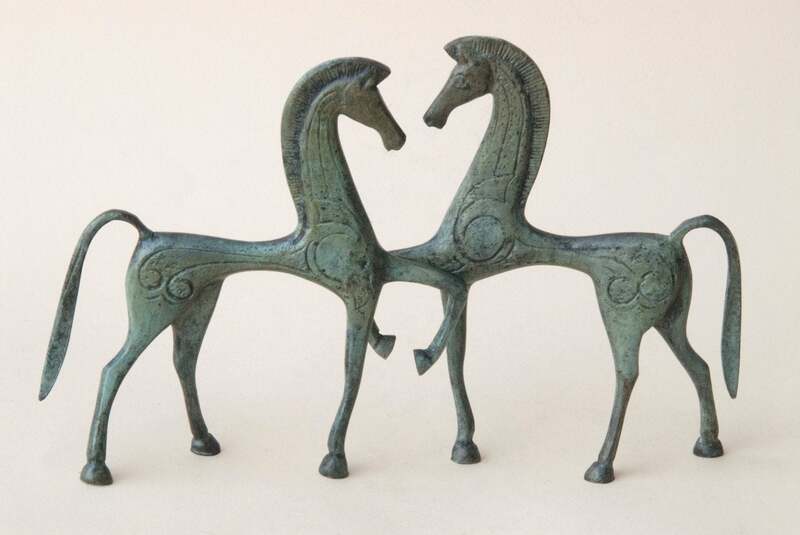 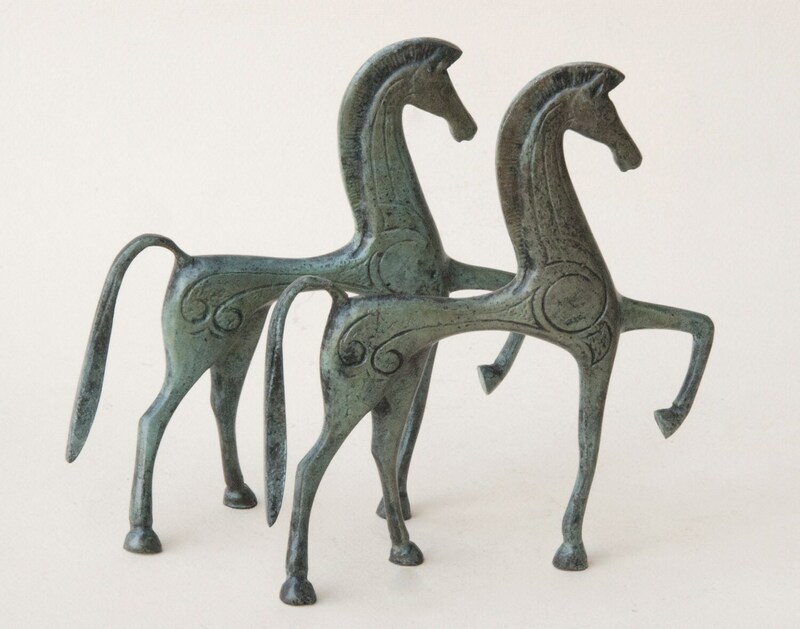 Greek horse decorated in the geometric style, cast in solid bronze with a verdigris patina. 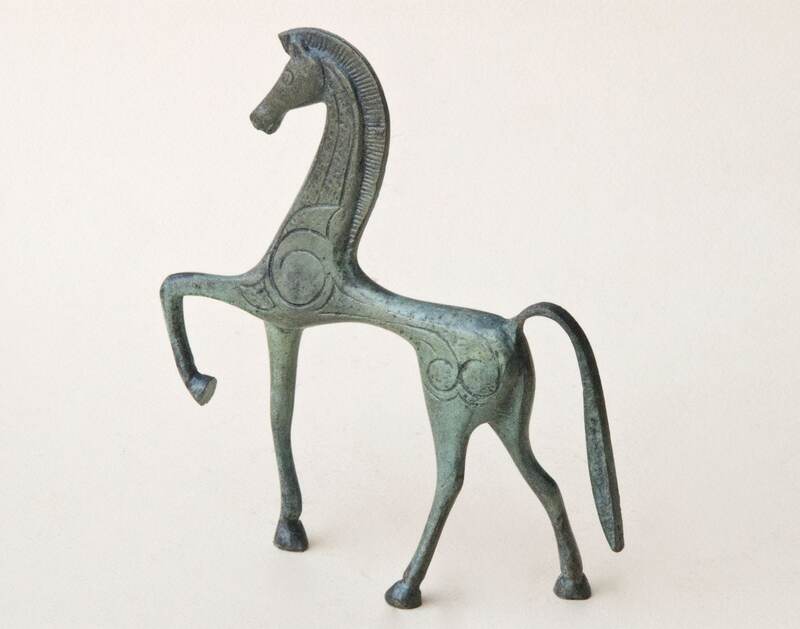 Height: 5 inches / 13 cm approx. 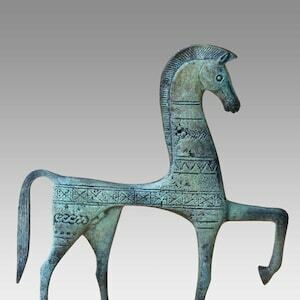 Beautifully sculpted! 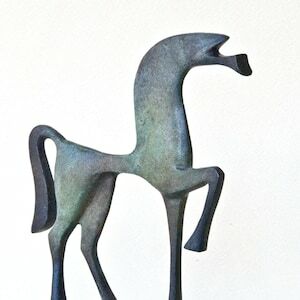 We loved opening the attractive box containing this lovely horse.